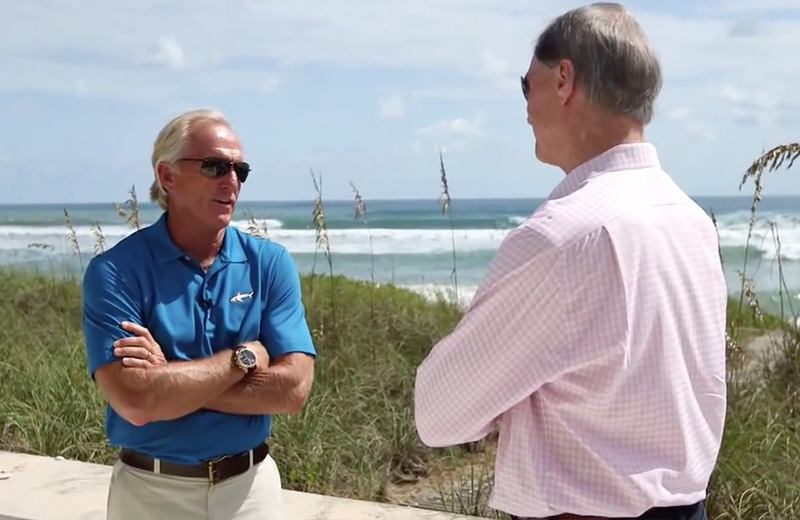 Get an inside look on how Greg built his business and on his leadership style as CEO in this latest feature from Charles Schwab’s Challengers series. 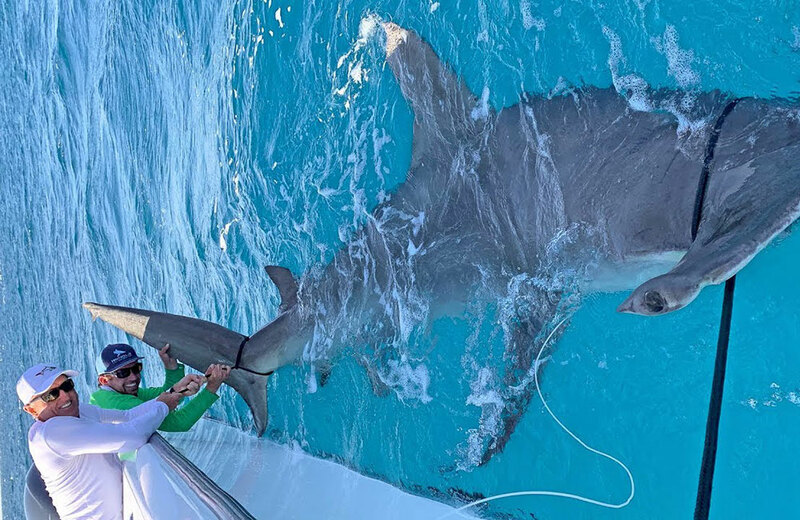 In this episode of BlacktipH, Greg Norman and I catch a massive hammerhead shark that was bigger in overall length than the current world record. 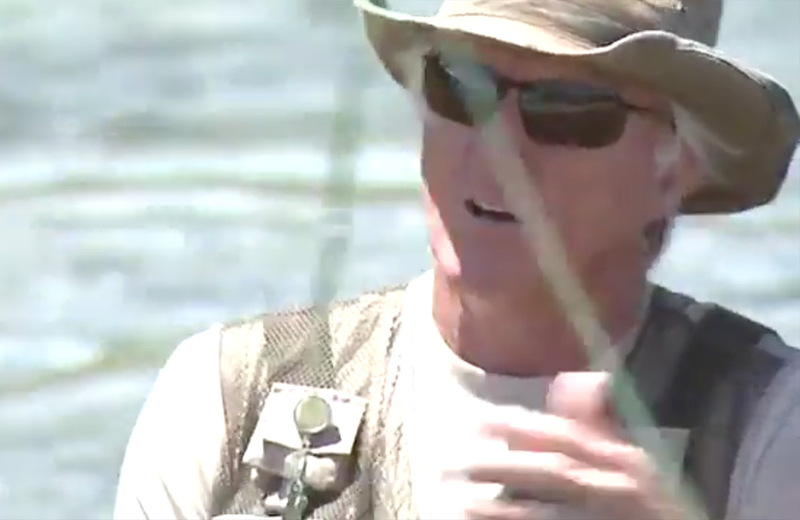 In this episode of BlacktipH, I go fishing with Golfing legend Greg Norman aka “The Shark” and challenge him to catch a giant Goliath grouper. 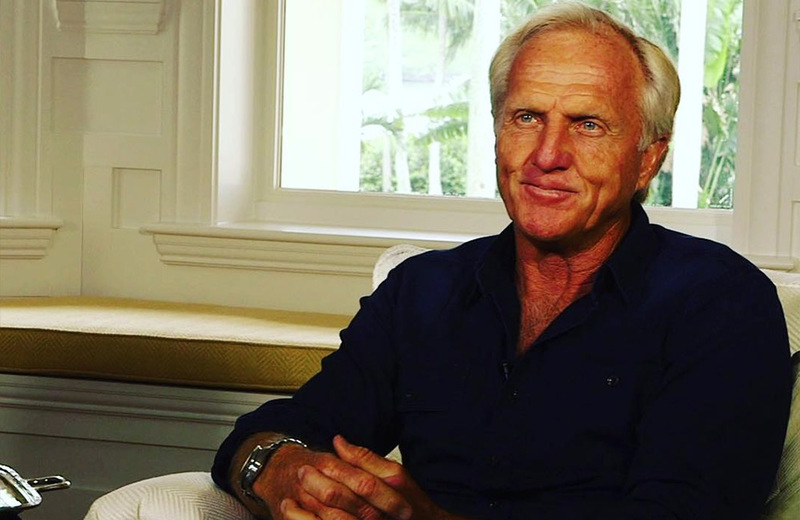 Greg Norman joins the Drop Zone to share stories about spelunking in Mexico, finding dinosaur bones and an epic match against Seve Ballesteros. 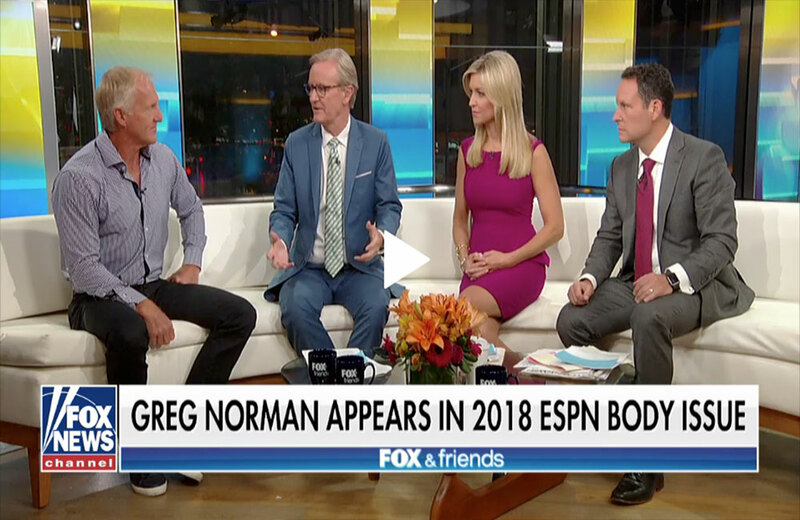 63-year-old golf legend Greg Norman describes the experience of baring all in ESPN’s 2018 Body Isuue on ‘Fox & Friends’. Greg joined the Dan Le Batard show yesterday to discuss the Body Issue, Shark Wake Park and wrestling with mountain lions. 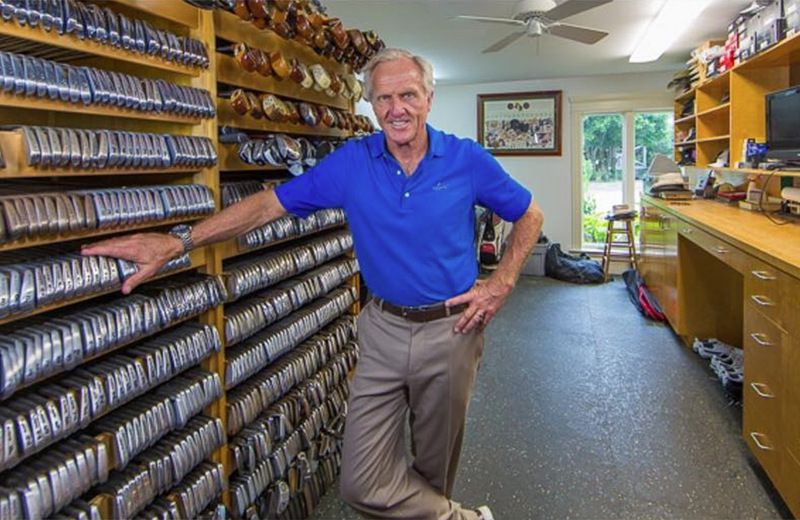 Pro golfer and entrepreneur Greg Norman wants to change the golf experience. 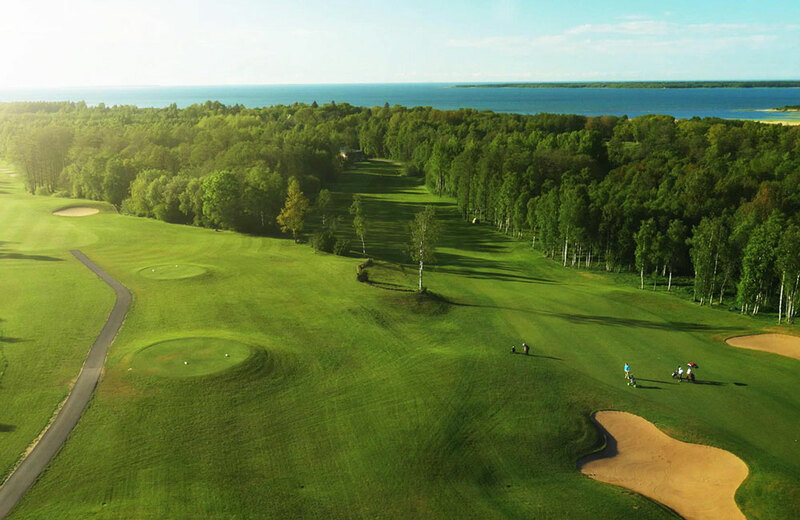 And after four years of development, Norman along with partners Verizon, GPSi and Club Car, is just weeks away from bringing his “Shark Experience” to U.S. courses and hopefully a whole new generation of golfers. 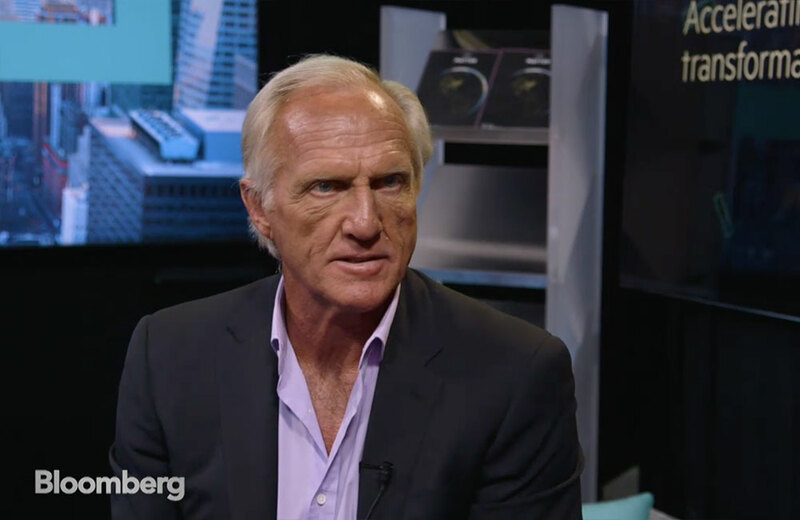 Greg Norman checked in with GOLF.com while at their headquarters in New York City on Thursday, November 2, 2012and was interviewed live on Facebook. 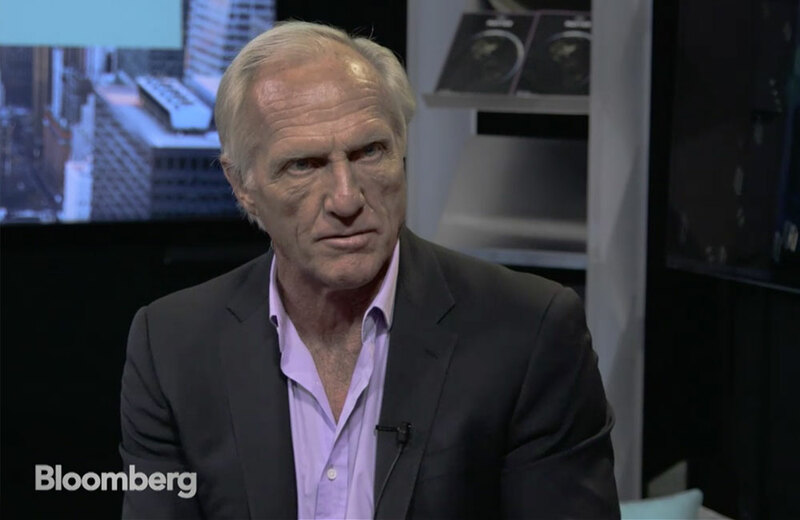 In this, the second in a series of Greg Norman’s Bloomberg Inspire <GO> Greg Norman talks about a contest he started to find the next great sports entrepreneur and his investment strategy. 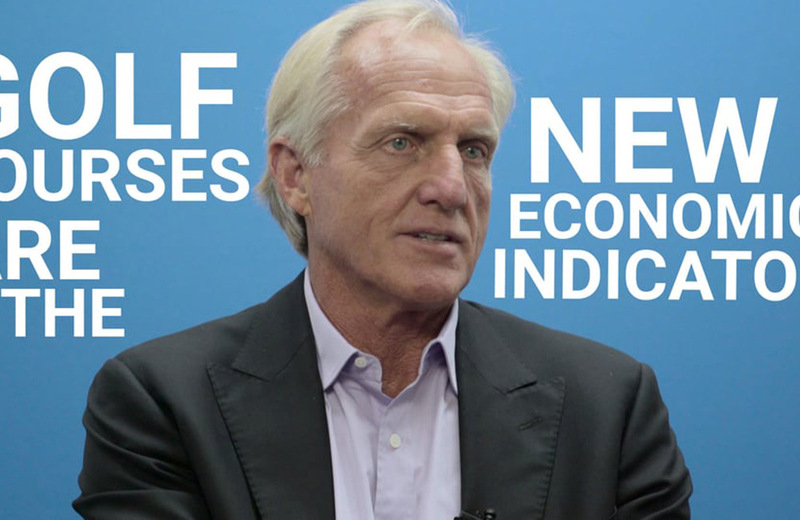 In this, the first in a series of Greg Norman’s Bloomberg Inspire <GO> videos, former PGA star turned entrepreneur Greg Norman talks about leadership, human resources and brand building. 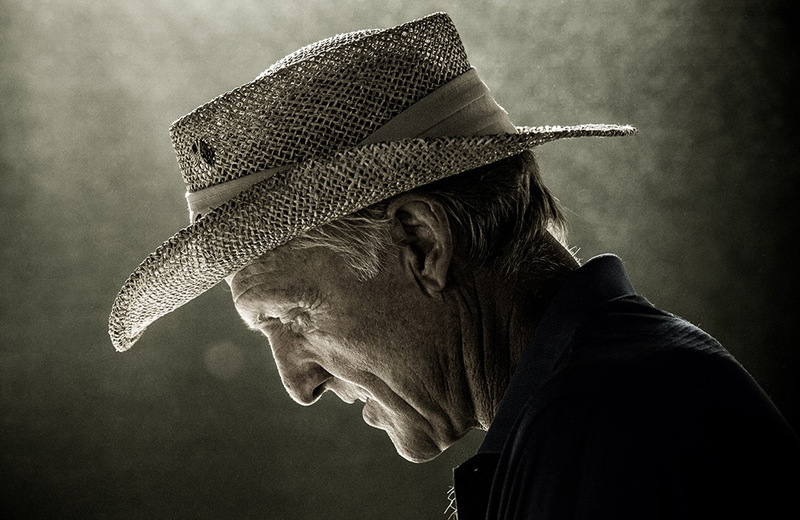 Greg Norman was honored on Wednesday, May 31 at Jack Nicklaus’s Memorial Tournament as the 2017 Memorial Tournament Honoree. 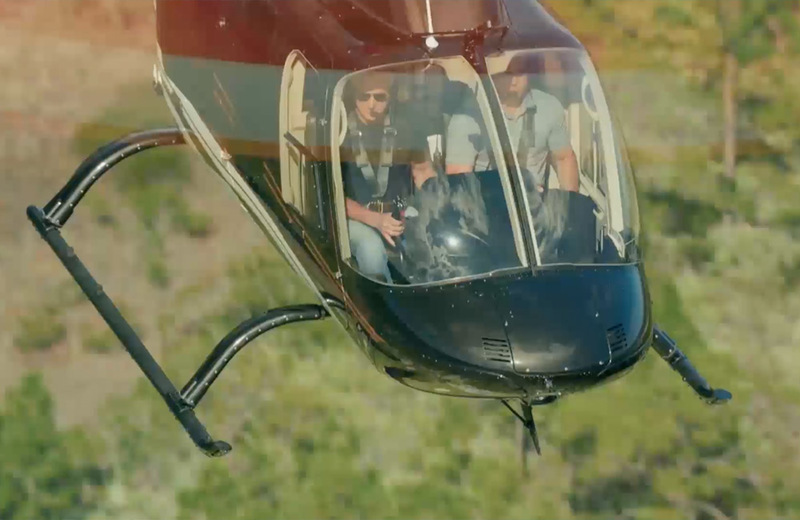 Here is video from the official ceremmony. 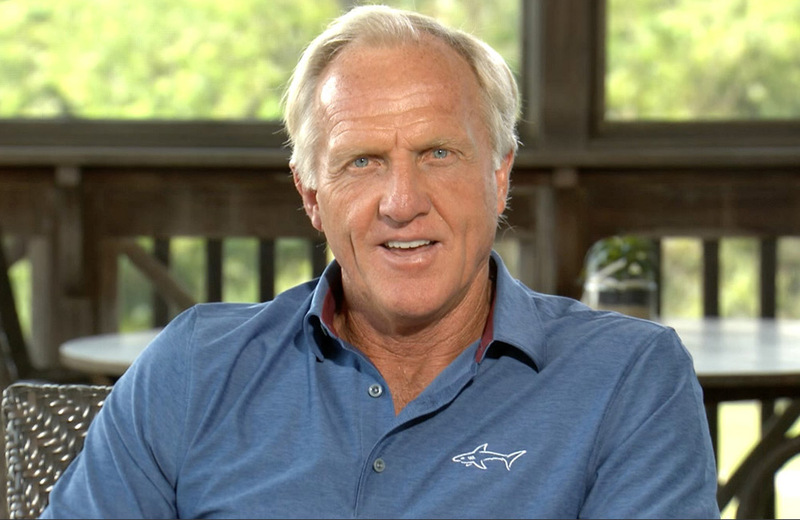 Greg Norman is this year’s honoree at the Memorial Tournament. 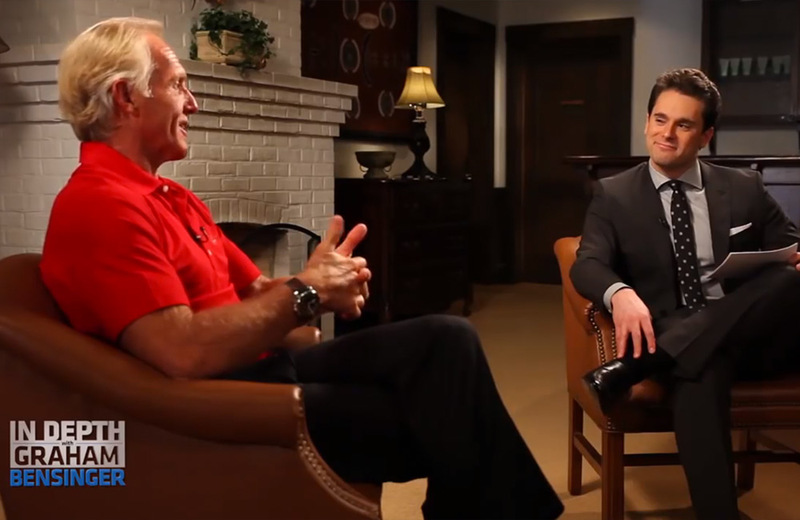 He joined Jack Nicklaus to speak with Golf Channel’s Todd Lewis. 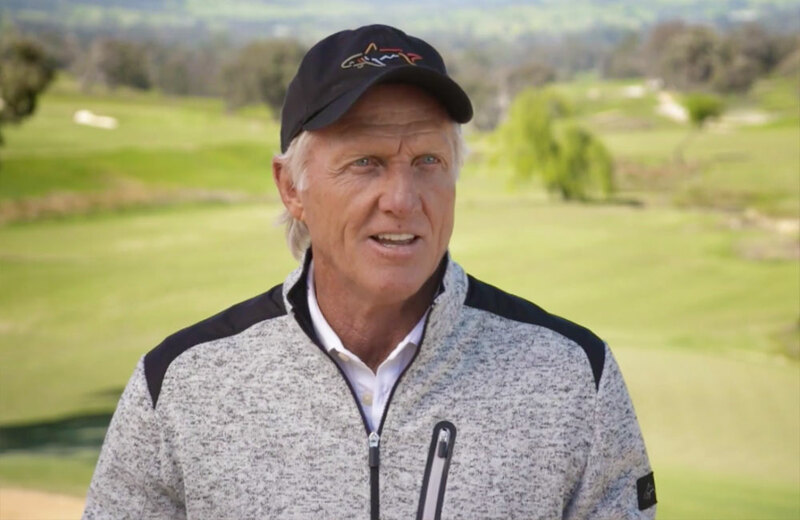 Greg Norman attended the 75th Anniversary of the Battle of the Coral Sea as a special guest of President Trump and Prime Minister Turnbull. The following morning, Greg appeared on Fox & Friends to discuss the event and touch on Trump’s “First 100 Days in Office”. 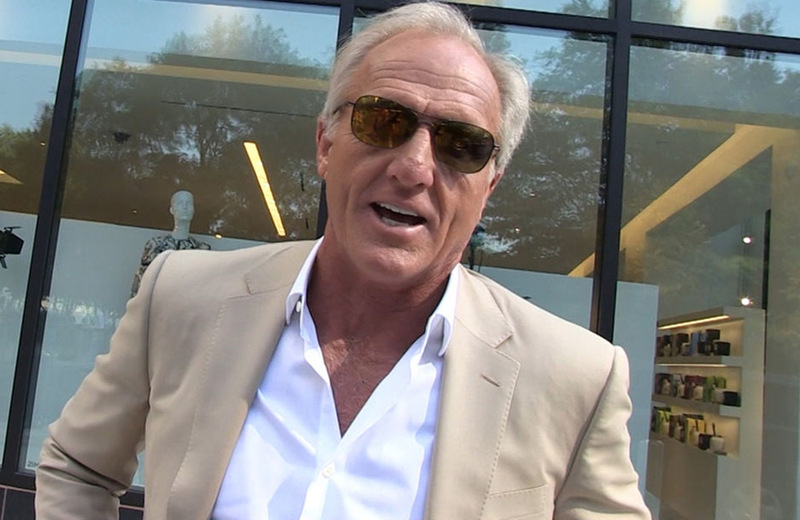 Former Open Champion Greg Norman says Rory McIlroy made the right decision to play a round of golf with Donald Trump. 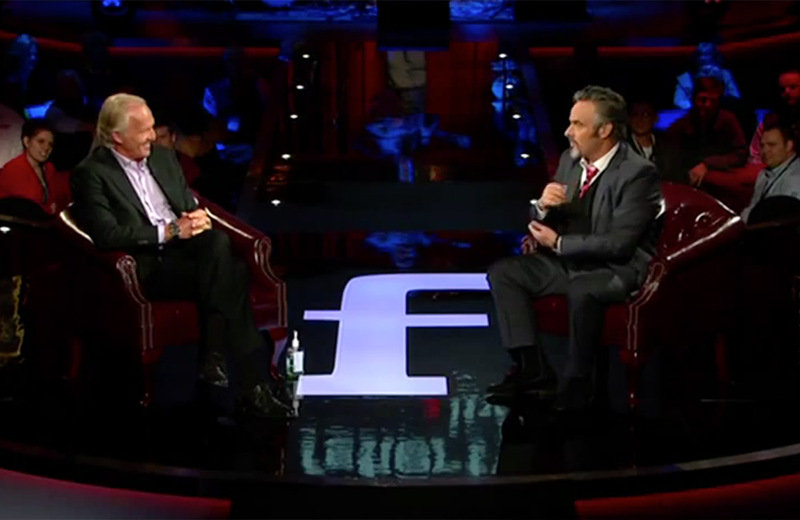 The Australian talks about his time playing golf with former President Bill Clinton. 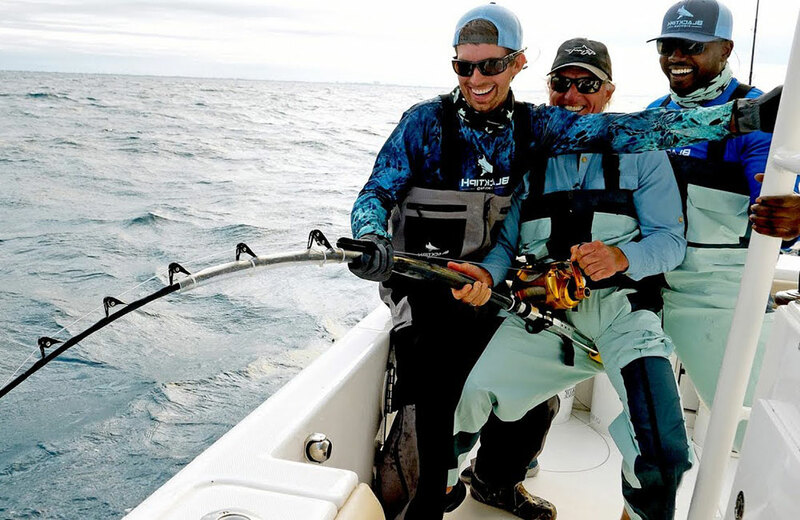 The Great White Shark also critiques Trump's back swing. 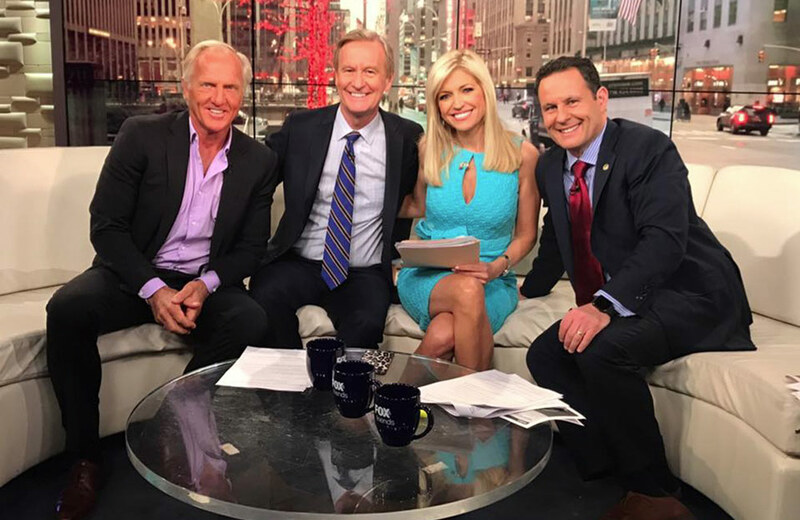 Greg Norman checked in with FOX & Friends while in New York City to discuss and a new partnership with Verizon. 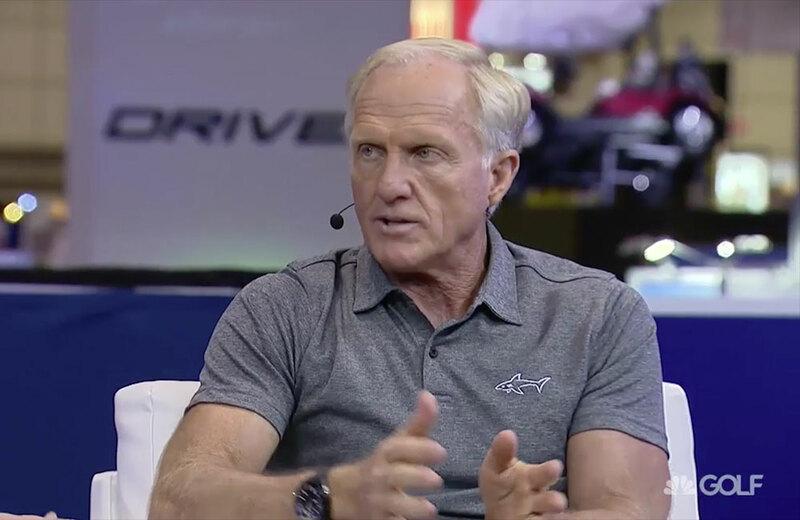 As part of Greg’s media blitz at the 2017 Merchandise Show, he appeared on Golf Channel talking with Gary Williams about all things social media, Trump, and the Greg Norman brand. 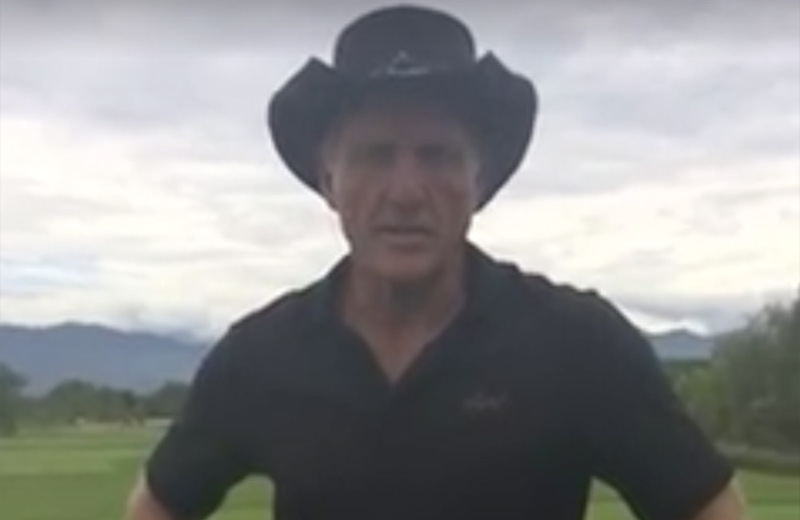 Greg Norman checked in with his Facebook fans while in Puerto Vallarta on Monday, November 14, 2016 for the Grand Opening of his newest golf course in Mexico, Vidanta Nuevo Vallarta. No business can stand still. Businesses change just like people. So like our icon, the shark, we keep moving... New logo. New company name. New inspiration for all of our fans. What will this mean to you? 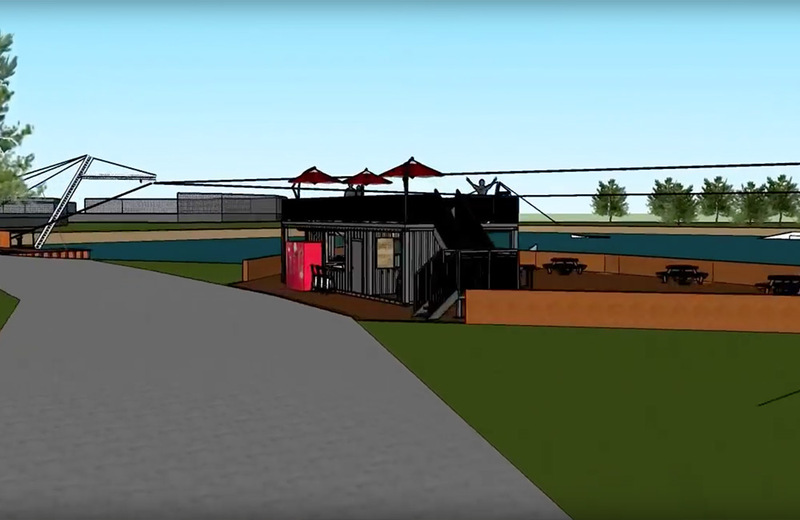 Great things to come on the horizon. 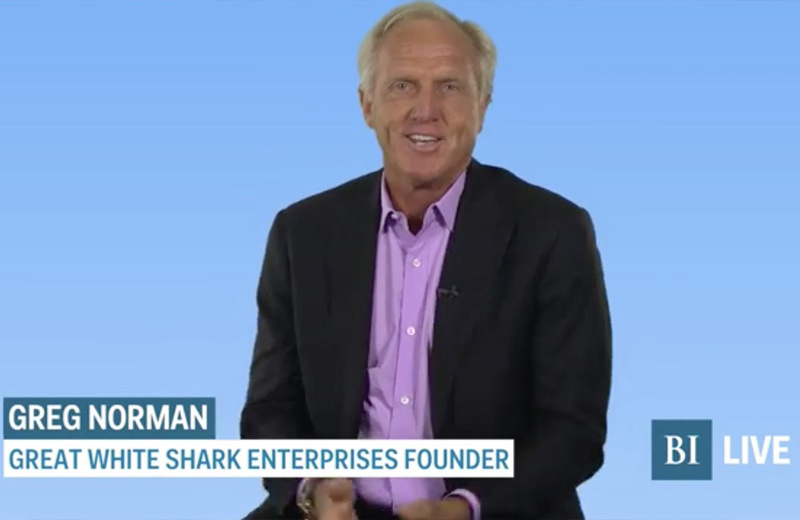 Greg Norman sat down with Matt Miller at Bloomberg TV while in NYC to talk the Greg Norman Company rebrand, Verizon partnership, Great White Shark Opportunity Fund and more. Greg made it to the pages of TMZ after speaking with a pap in the streets of New York City. 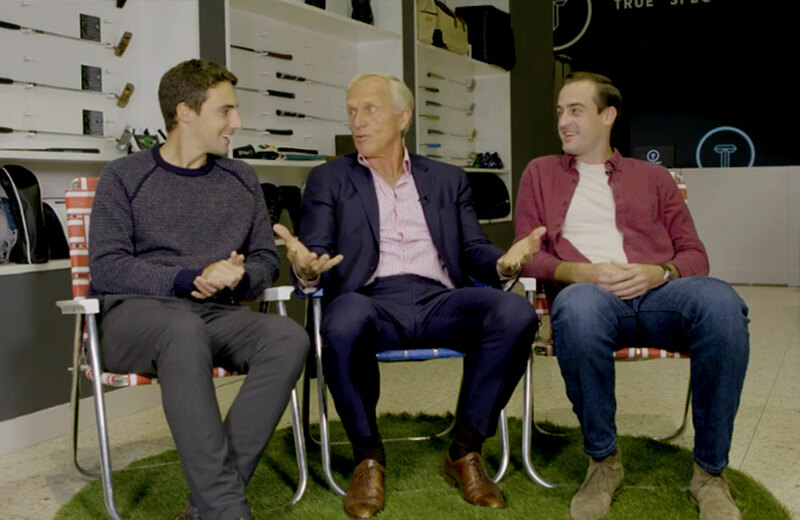 Greg Norman checked in with Men‘s Journal while in New York City on Wednesday, October 19, 2016 and was interviewed live on Facebook. 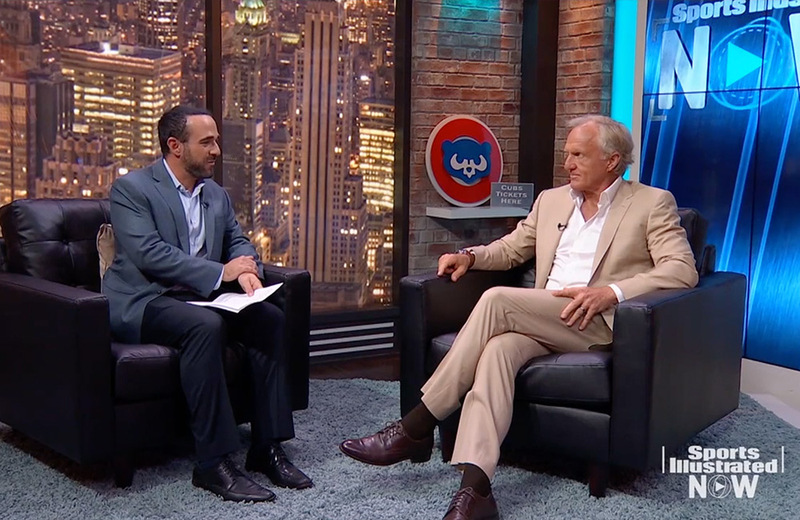 Greg Norman checked in with Varney & Company while in New York City on Wednesday, October 19, 2016 and discusses Trump, the corporate rebrand and a new partnership with Verizon. 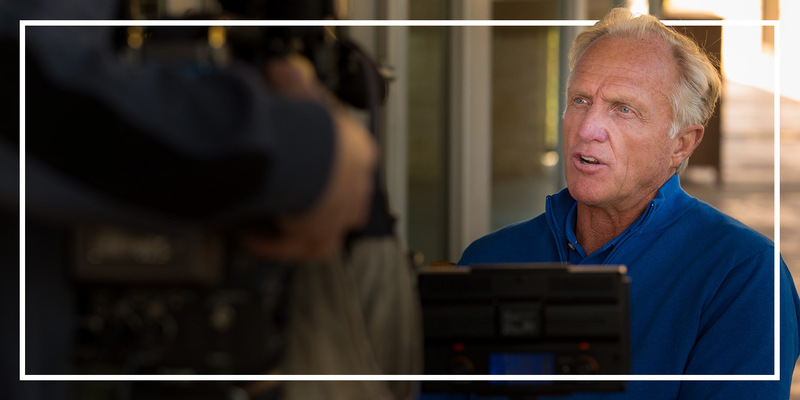 Greg Norman checked in with GOLF.com while at their headquarters in New York City on Wednesday, October 19, 2016 and was interviewed live on Facebook. 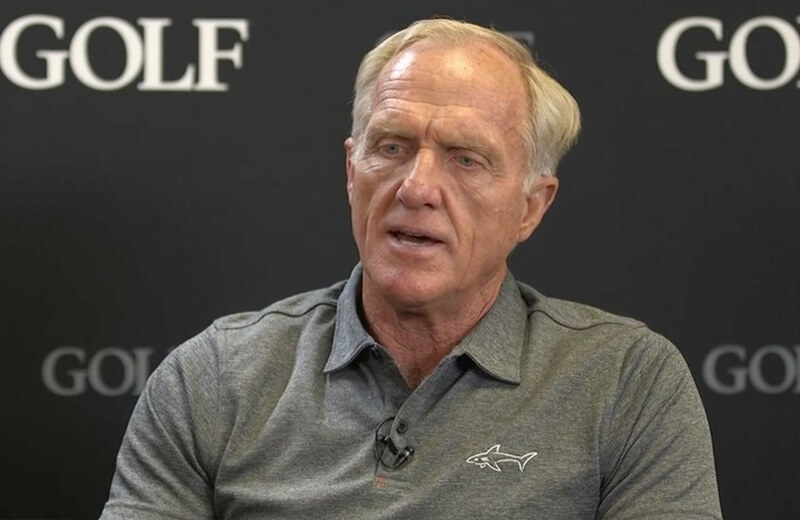 Two-time Major champion Greg Norman has been sharing his thoughts on the decline in form of Tiger Woods. 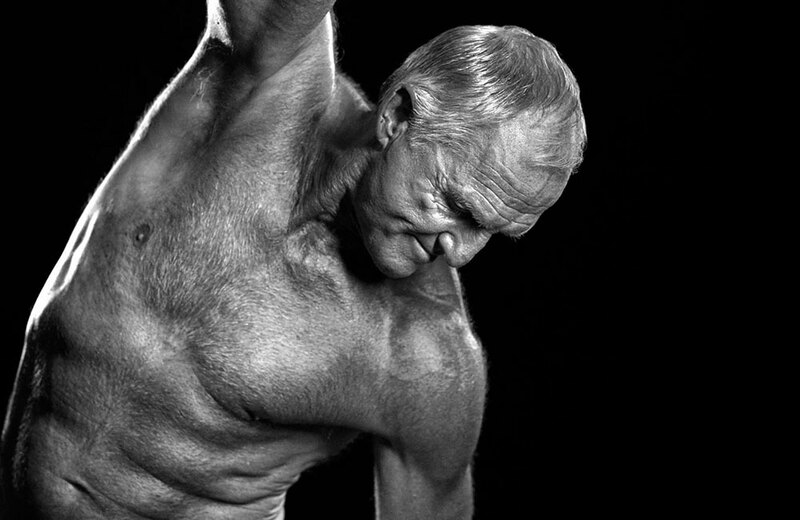 Norman, who won The Open in 1986 and 1993, says 40-year-old Woods no longer intimidates younger golfers in the way he once did. 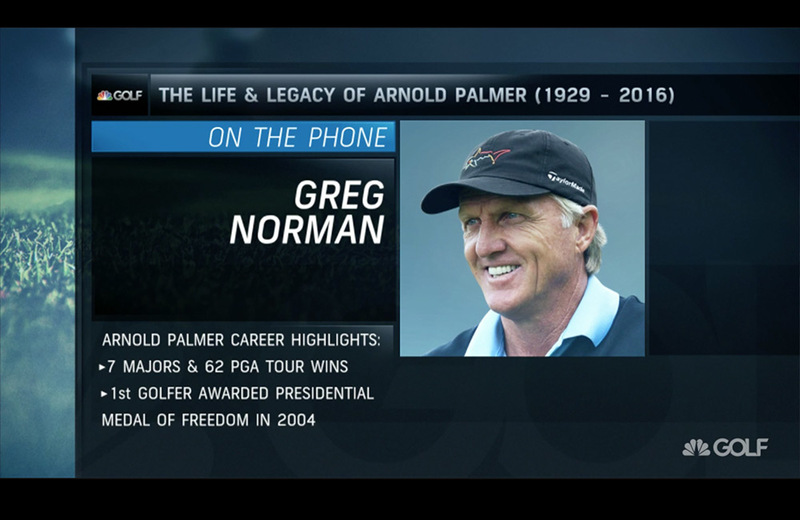 Greg Norman appears with Hannah Storm on ESPN's Sportscenter to discuss the passing of Arnold Palmer. 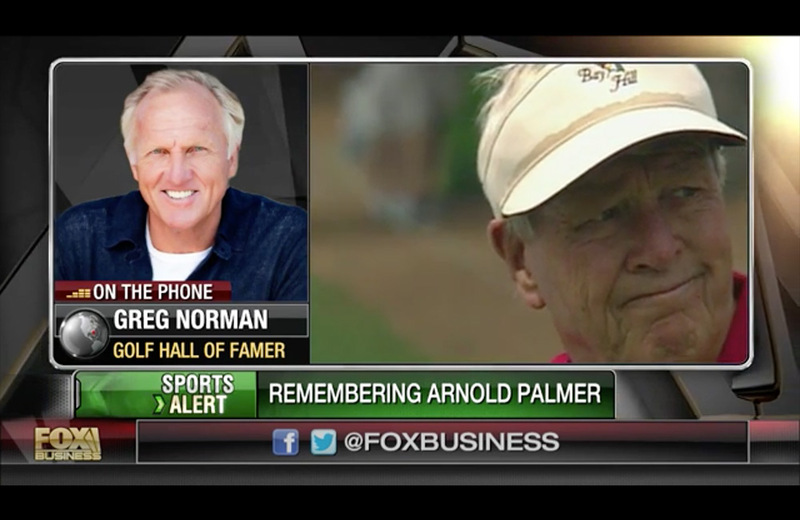 Golf legend Greg Norman joined Varney & Co. on Monday to pay tribute to the “King” Arnold Palmer, who died Sunday at age 87. 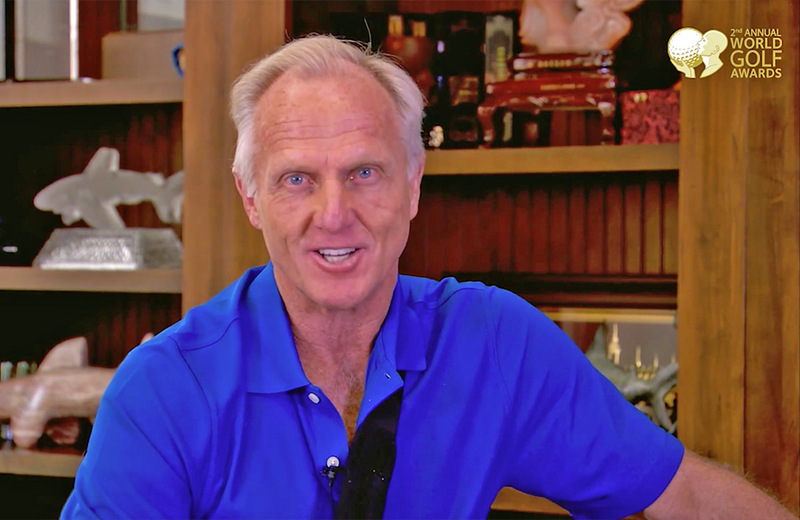 Greg Norman reflects on the life and legacy of Arnold Palmer with Golf Channel's Morning Drive crew. 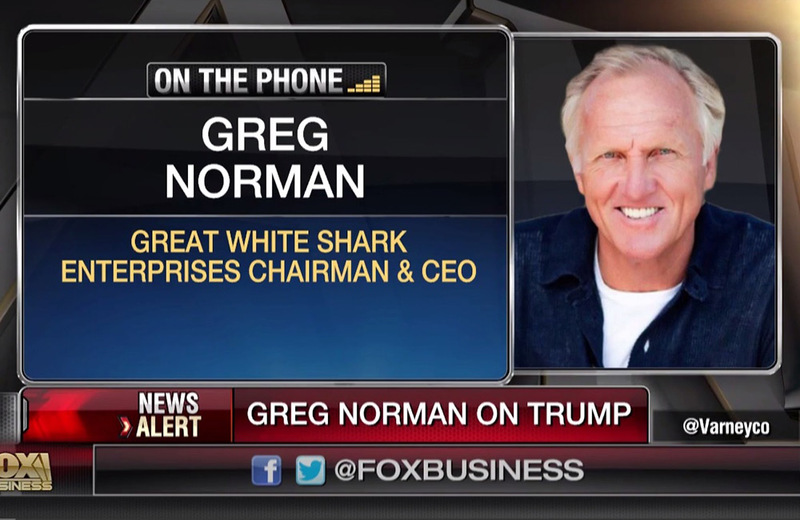 Greg Norman made another appearance on FOX Business’ Varney & Co. (7/29/2016) to discuss the election, Trump, the PGA Championship and more. 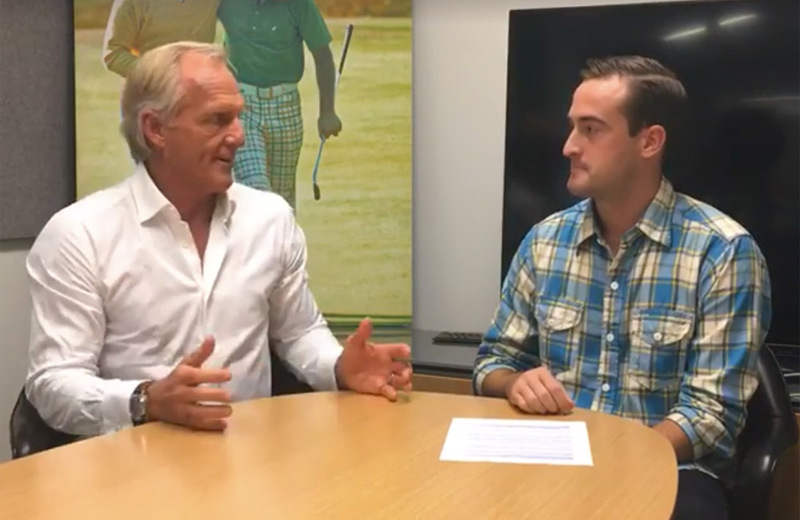 Legendary golfer Greg Norman recently stopped by Business Insider to discuss a wide range of topics during a live interview broadcast on Facebook. 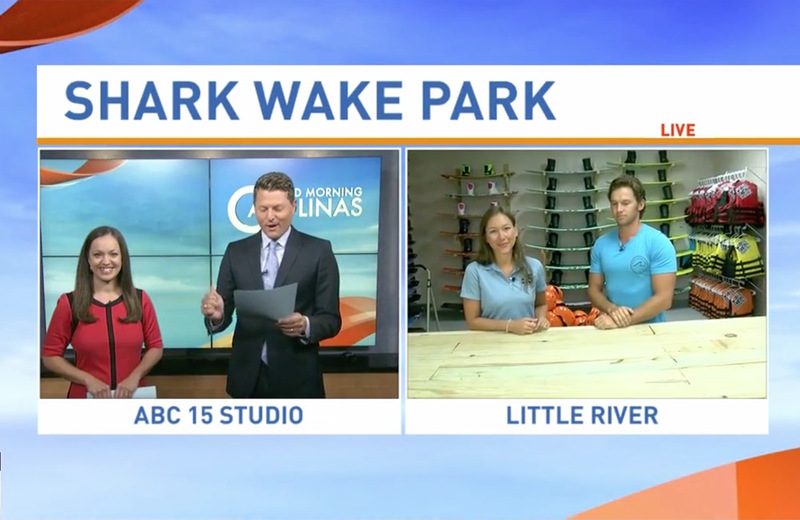 One viewer asked "The Shark" to reveal his favorite golf courses in the world. The answers may surprise you. 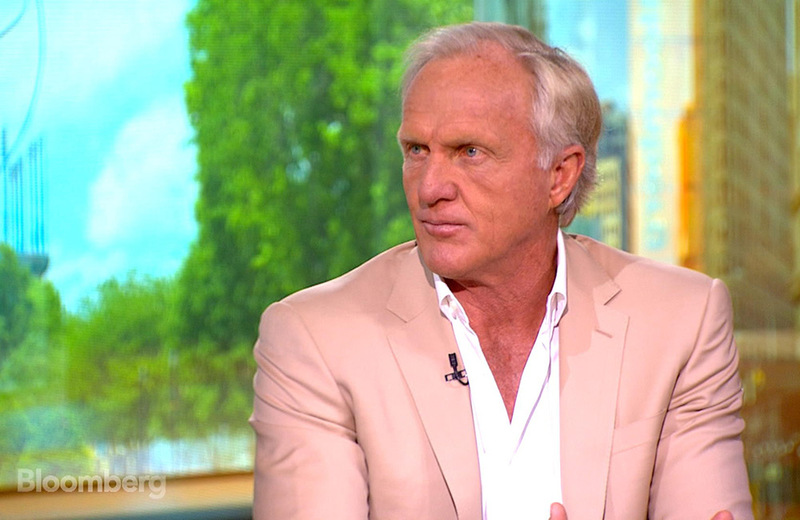 Greg Norman made an appearance via live call-in on FOX Business’ Varney & Co. to talk about golf, the Zika threat and the turmoil surrounding the Rio Oympics. 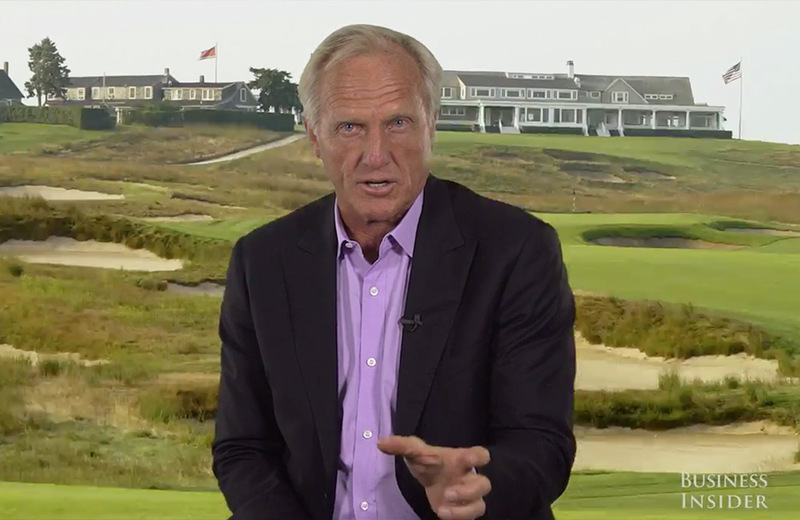 Twice having hoisted the Claret Jug in his career, Greg Norman reflects on his victories in The Open, and how enduring the heartbreak when in contention at several other major championships throughout his career made the victories all the more gratifying. 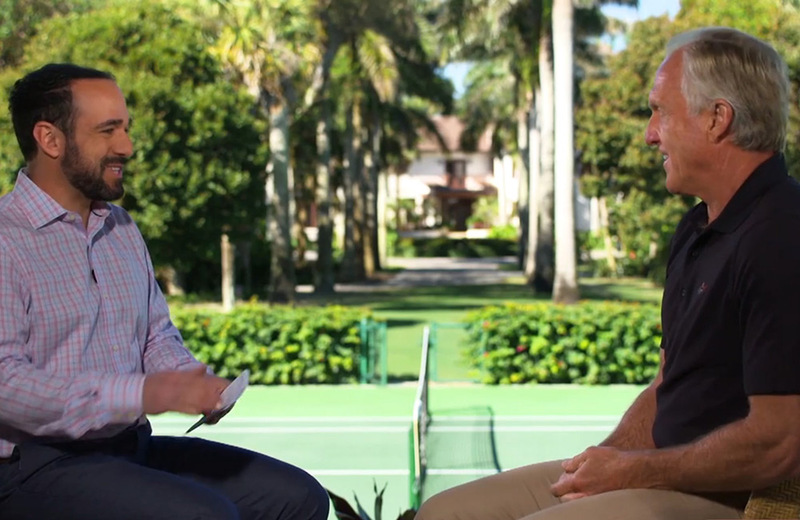 In an exclusive interview with Betty Liu for her podcast, Radiate, Norman talks about his success in sports and business, the struggles with running a massive company and yes, he talks about the stunning collapse at the Masters in 1996. 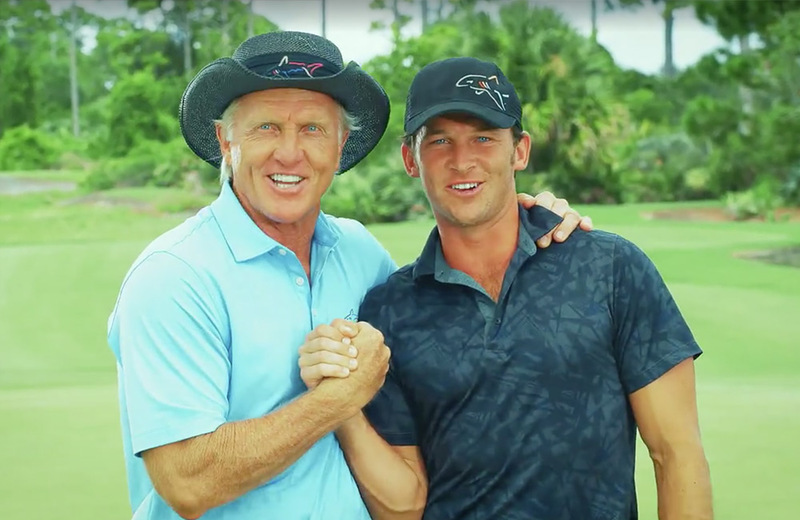 With less people playing – and watching the game – Greg Norman is looking to millennials to take golf out of the long grass. 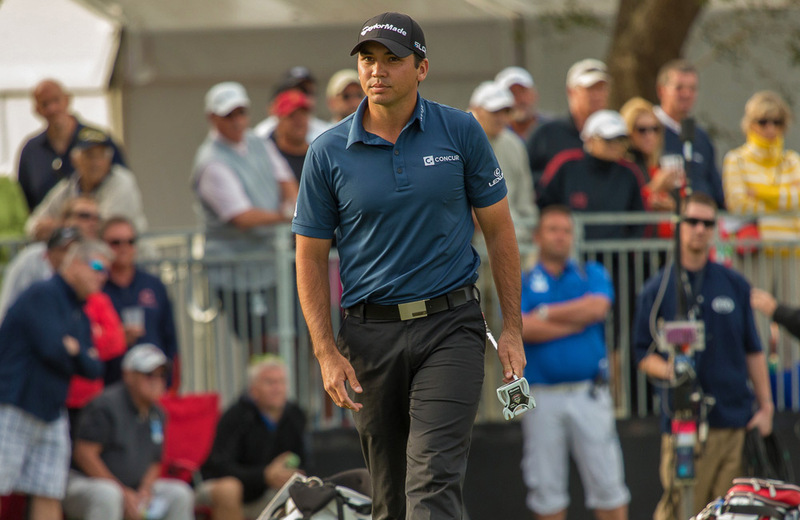 CNNMoney's Maggie Lake caught up with him for a round in New Jersey. 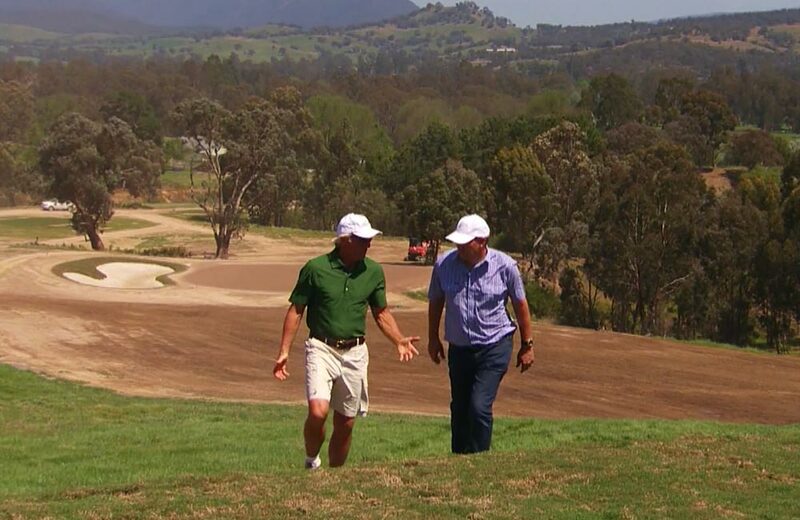 FOX Sports Australia's The Golf Show profiles the Great White Shark in a segment called “The Back Nine”. 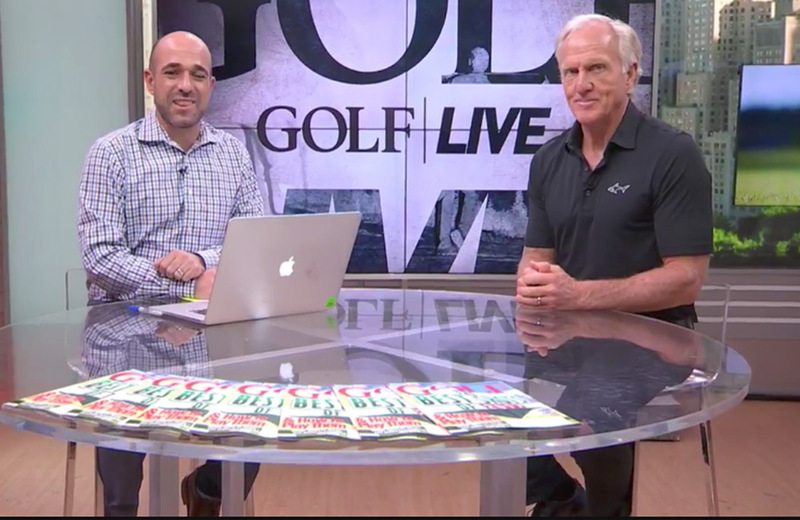 Greg Norman joins GOLF LIVE to talk about the state of the PGA Tour, becoming a business mogul, and to reminisce about his historic 1986 season. 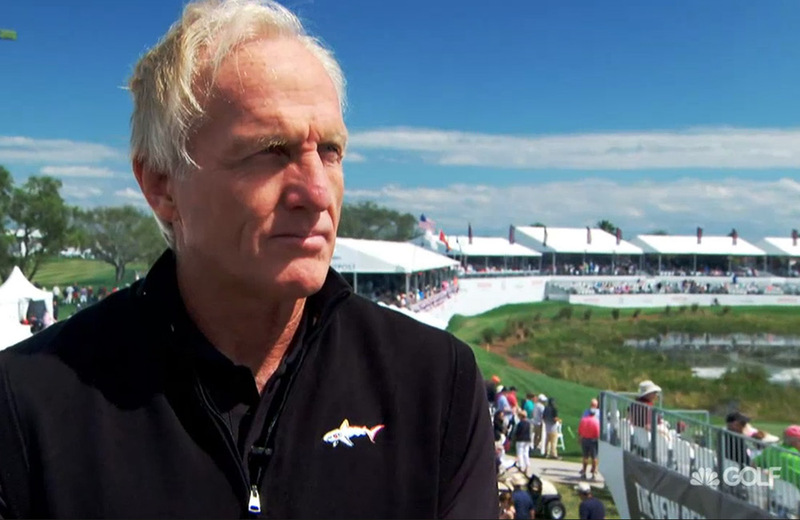 Greg Norman sits down with GOLF LIVE to talk about his experience at Fox, and how the mistakes he has made in the past has made him a better golfer and person. 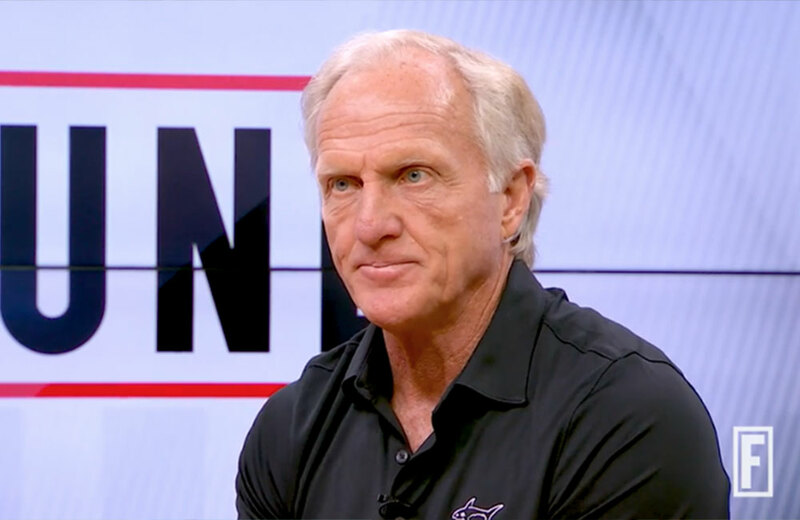 World Golf Hall of Fame member Greg Norman joins Morning Drive to discuss the health of Tiger Woods and shoots down the notion that there's a ‘Big 4’ in the game of golf. 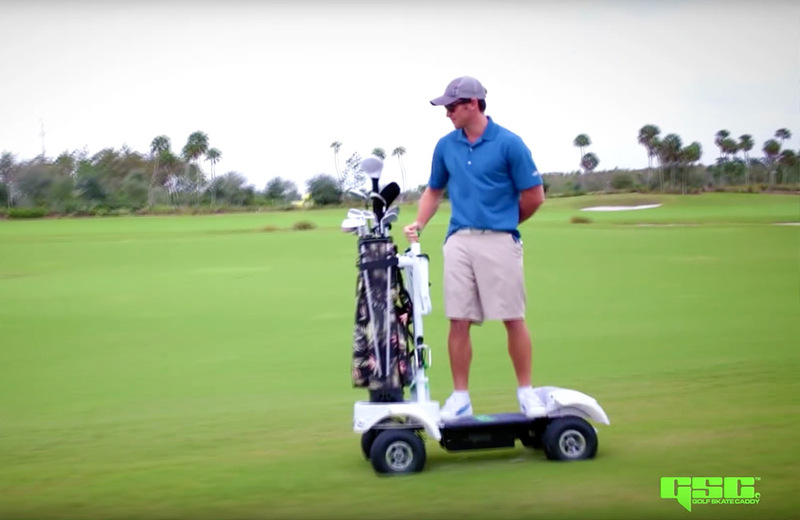 Golf Skate Caddy (GSC) - a pioneer in the manufacturing of single rider, electric four-wheel golf vehicles - announced that Greg Norman Jr. has joined the company’s management team. 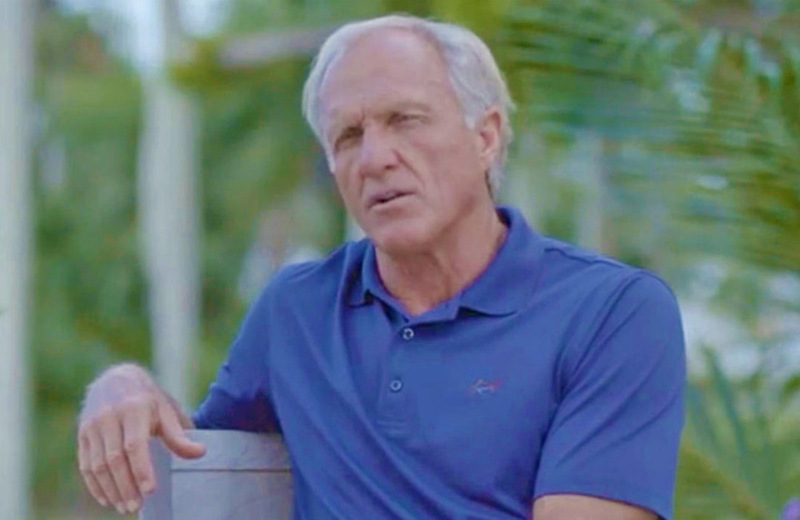 Watch as Greg Norman makes an appearance on FOX Sports NFL Sunday with Terry Bradshaw to promote the Franklin Templeton Shootout on FOX. It makes sense that Matt Jones won his second worldwide tournament -- he was expected to be this good from the time he was 6 years old. 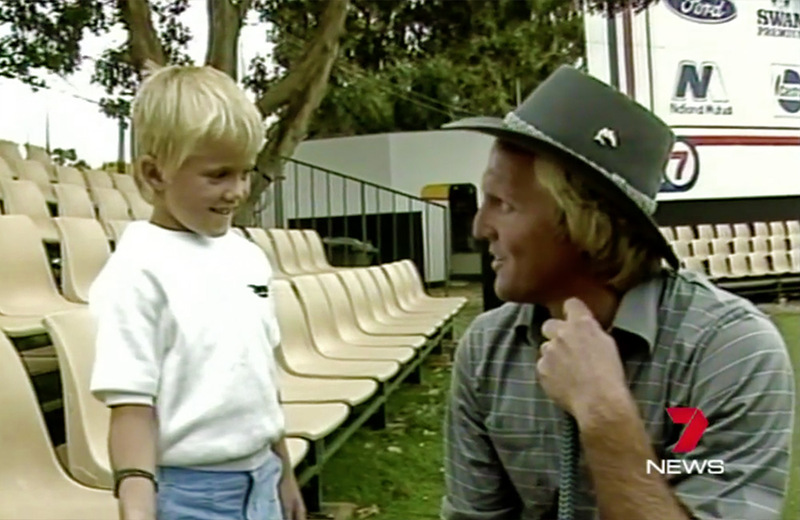 That's also when he met his idol, fellow Australian Greg Norman. 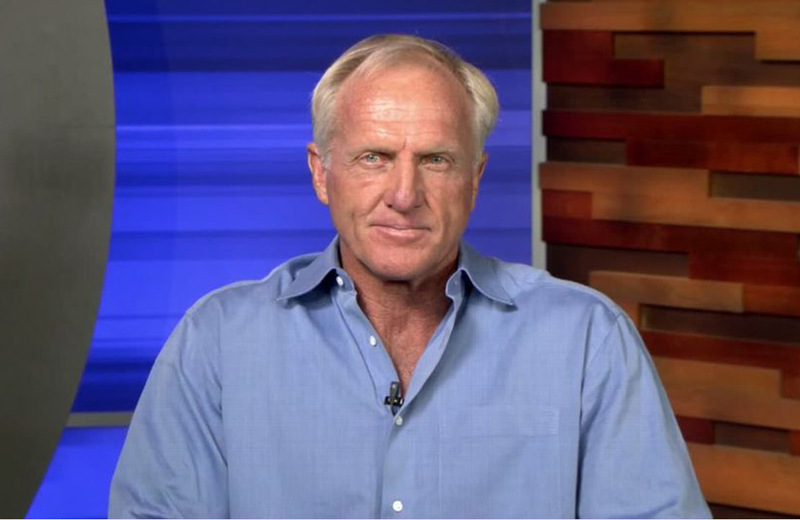 Greg Norman calls into Sportscenter to talk about fellow Aussie Jason Day's PGA Championship win at Whistling Straits. 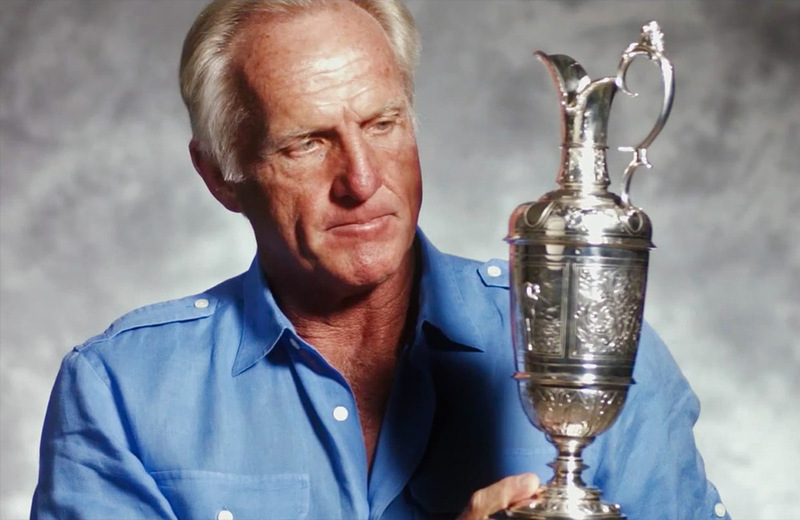 Jack Nicklaus, Arnold Palmer, Tiger Woods and Greg Norman (among others) talk about what it means to hold the Claret Jug in your hands after winning the oldest major championship. 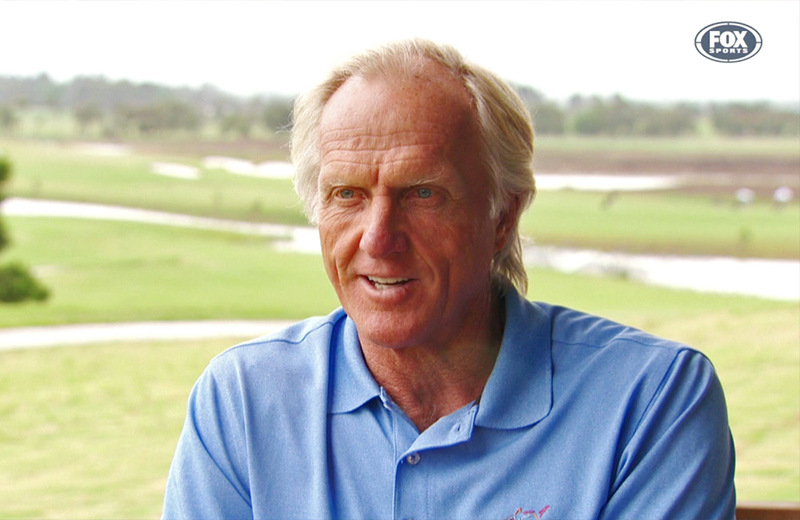 The cameras were rolling when Golf Business editor Ronnie Musselwhite sat down to talk with Greg Norman prior to him being presented with the NGCOA’s 2015 Award of Merit. 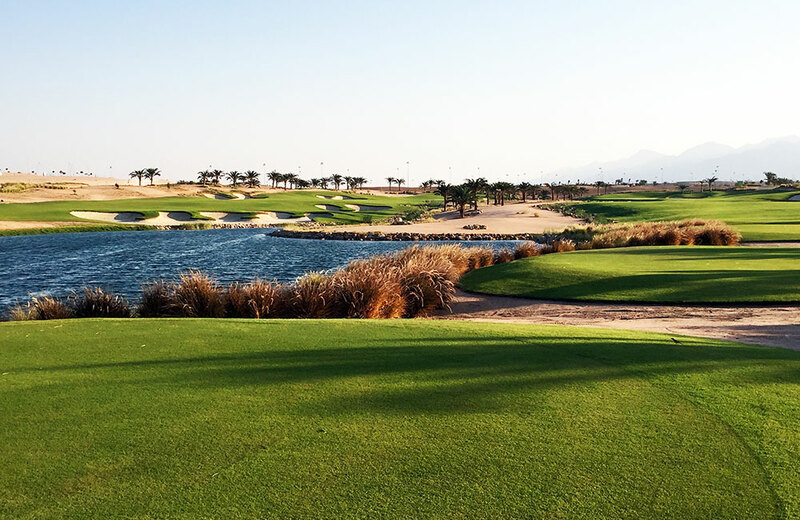 Let's face it, we all have bad shots or those shots that put us in a tricky position. 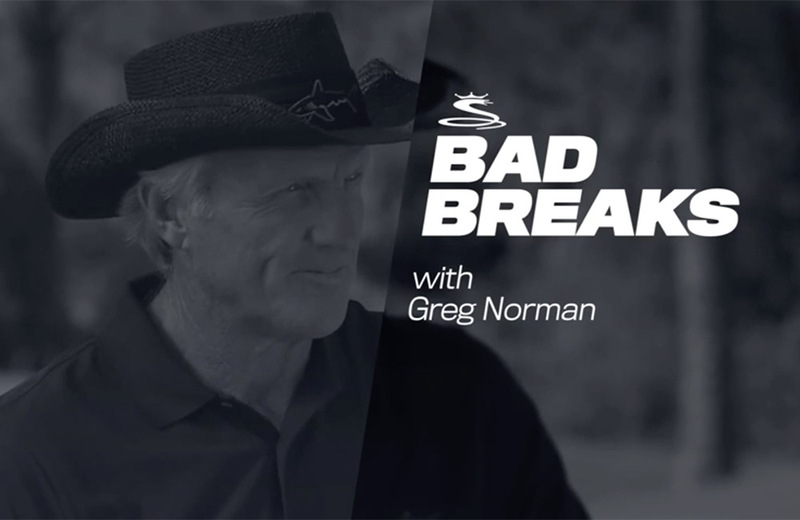 Luckily, Greg Norman has a break to get you out of trouble and save par (or make birdie). FOX Sports, which is about to begin a 12-year run broadcasting U.S. Golf Association championships, aired a one-hour U.S. Open Media Day Special from the host course, Chambers Bay Golf Club. 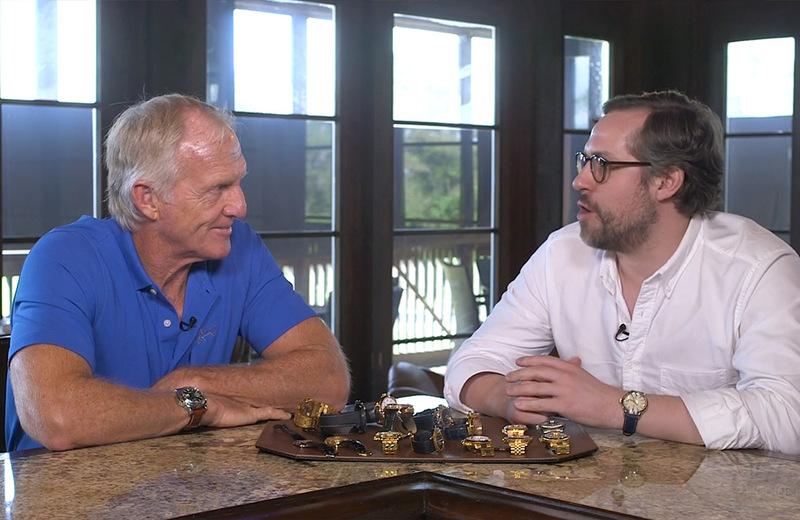 Graham sits down with legendary golfer, Greg Norman, who discusses losing with class, picking up golf out of boredom and going against his father’s wishes by turning pro. 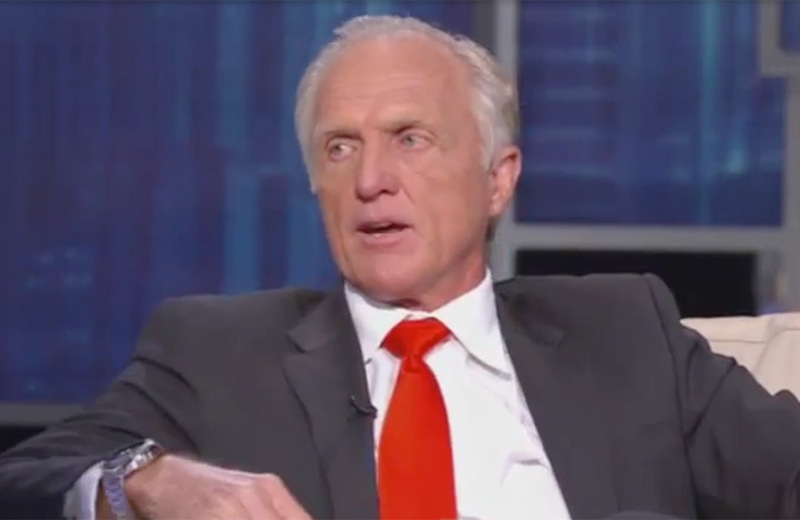 Norman also shares how he built his business empire, among a variety of other candid stories. 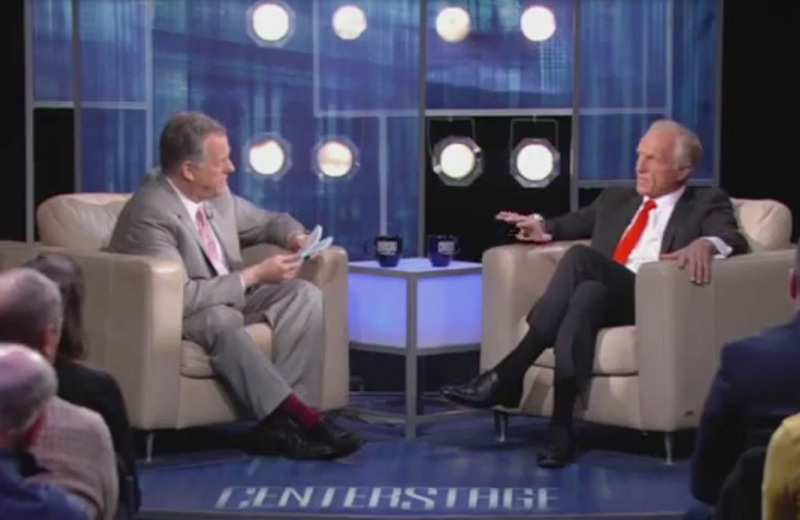 As host of MSG Networks’ Emmy Award-winning program, “The Game 365”, Fran Healy sits down with some of the most fascinating personalities in sports and entertainment. 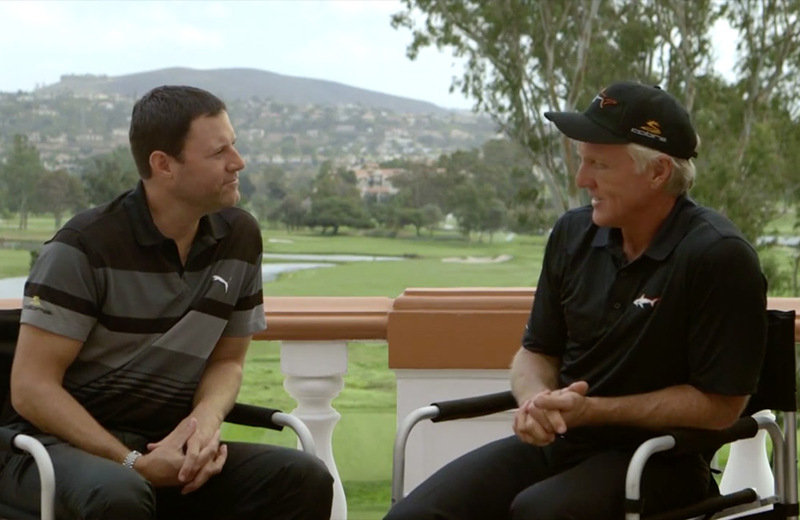 In this episode, Fran gets up close and personal with golf legend, Greg Norman. 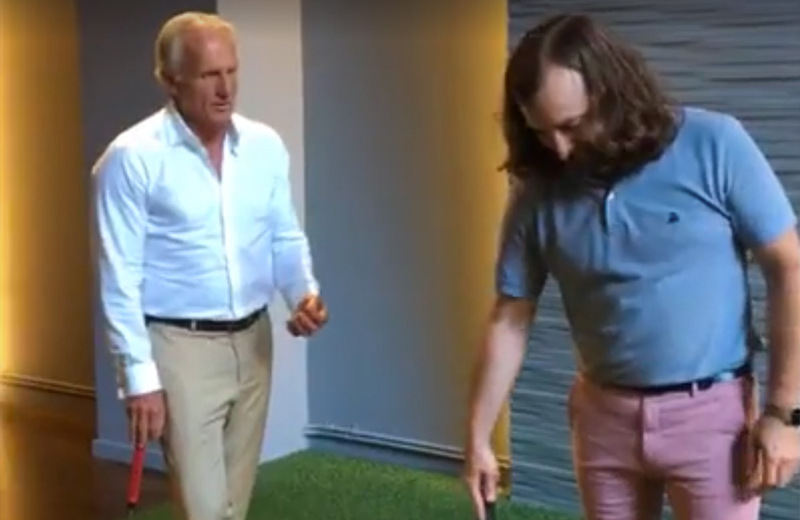 Greg Norman, FOX Sports' lead golf analyst, appears on FOX NFL Sunday and wonders what kind of football player he might make. 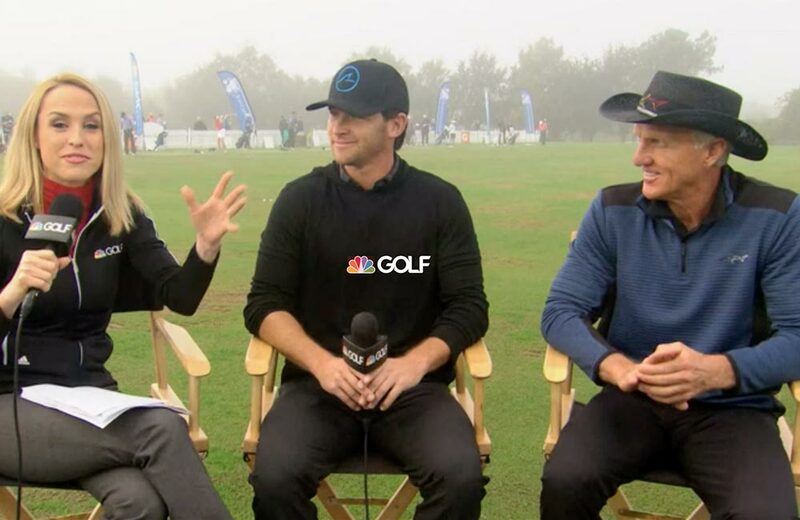 Take a sneak peek at FOX Sports' new golf coverage as Joe Buck and Greg Norman break down the 2014 U.S. Open from Pinehurst No. 2. 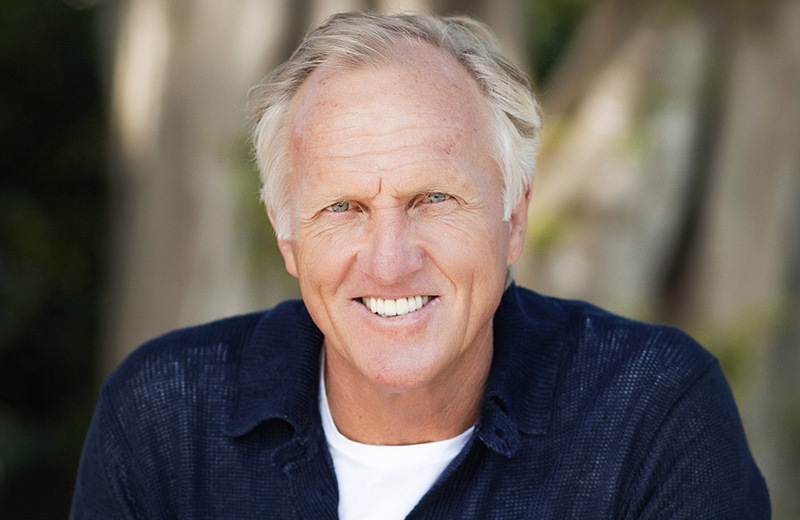 From obtaining peace and relaxation on his ranch in Colorado to the future of his business, Great White Shark Enterprises, Greg Norman 'unveils the secrets to his outrageous success - a road map not only for better scores and better business, but a richer life'. 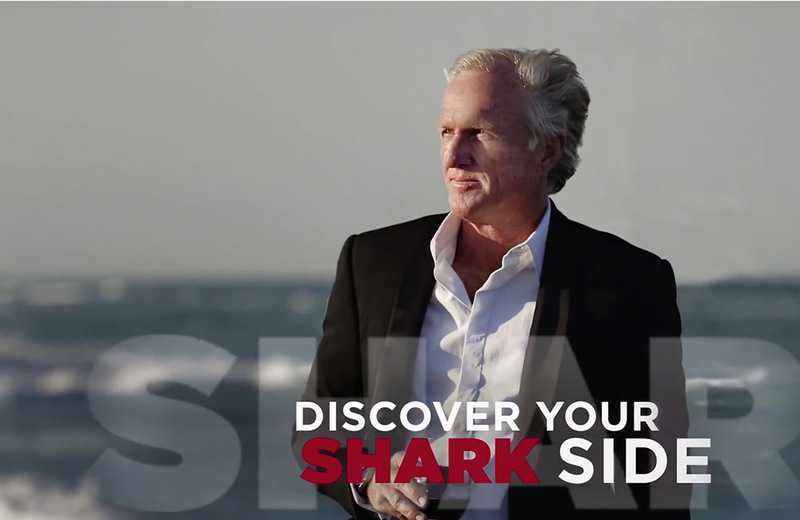 Greg Norman invites your to live the life you've always dreamed of. Push your limits, meet your fears, live life to the fullest, and discover your Shark Side. 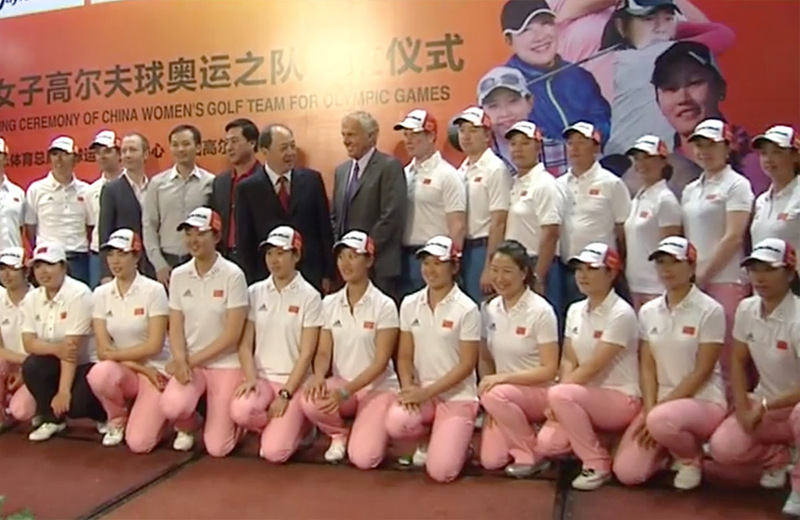 The China Golf Association (CGA) has appointed Greg Norman as the exclusive advisory coach to the China National Golf Team in preparation for the 2016 Olympic Games in Brazil. 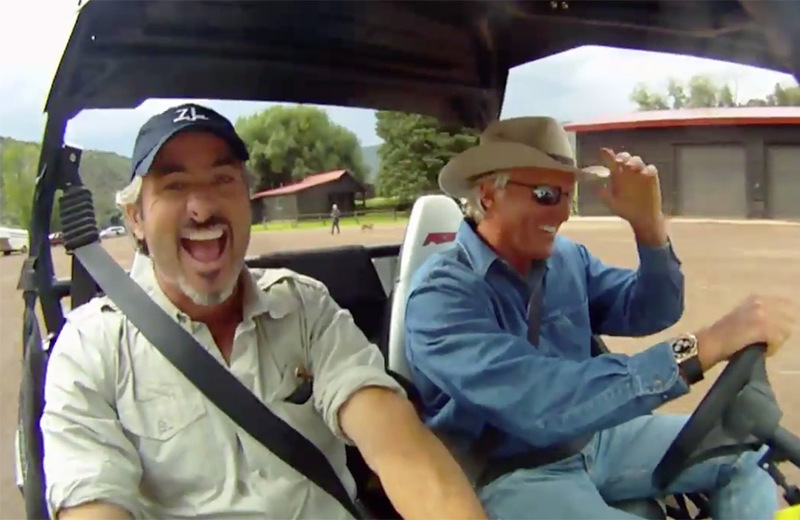 David Feherty goes adventuring with Greg Norman in the Colorado Rockies.